The Malibu Community Pool offers a variety of aquatic programs including: Swim Lessons, Water Polo, Adult Training & Conditioning, and the Malibu Sea Wolves Swim Team. 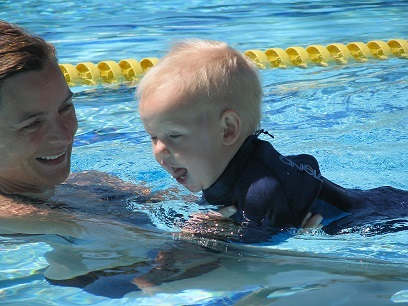 The City of Malibu offers Swim Lessons in the Fall, Spring and Summer for Ages 1-17. Summer swim lessons are held Monday-Thursday and last 2 weeks per session. All levels are $120 per participant or $75 for the first week of a session. The Malibu Community Pool is located on the Malibu High School Campus, 30215 Morning View Drive Malibu, CA 90265. For more information on these programs please contact Katie Gallo or 310-456-2489 x363. Sibling discount registrations made online for Malibu Seawolves Swim Team will only apply if the swimmers are in the same level. If they are in different levels, please contact Brittany at (310) 456-2489 x 349. Sibling discounts do not apply to the Conditioning level. An annual membership fee of $68 includes a USA Swimming Membership and material fees. The membership is good for 1 year and is payable to Malibu Aquatics Foundation directly.